Living Proof No Frizz Leave-In Conditioner 4 oz. 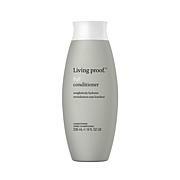 Living Proof Perfect hair Day (PhD) Conditioner 8 oz. 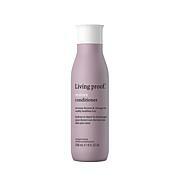 Effectively blocks humidity, helps repel dirt, and results in hair that’s soft, smooth and shiny. And because No Frizz actually helps repel dirt, you can go longer between washings which helps to break the frizz-inducing cycle for good! Apply No Frizz Conditioner onto clean hair. For dry or damaged hair, leave in for two minutes. Rinse. Follow with the appropriate No Frizz styler for your hair type and desired style.